This is another oldie but goodie. I love vintage furniture, especially when I’ve made it mine. I’m not one to immediately paint a piece. I will only paint a lower quality piece (no 100-year-old quarter-sawn dressers, you know who you are) or one that was previously painted. 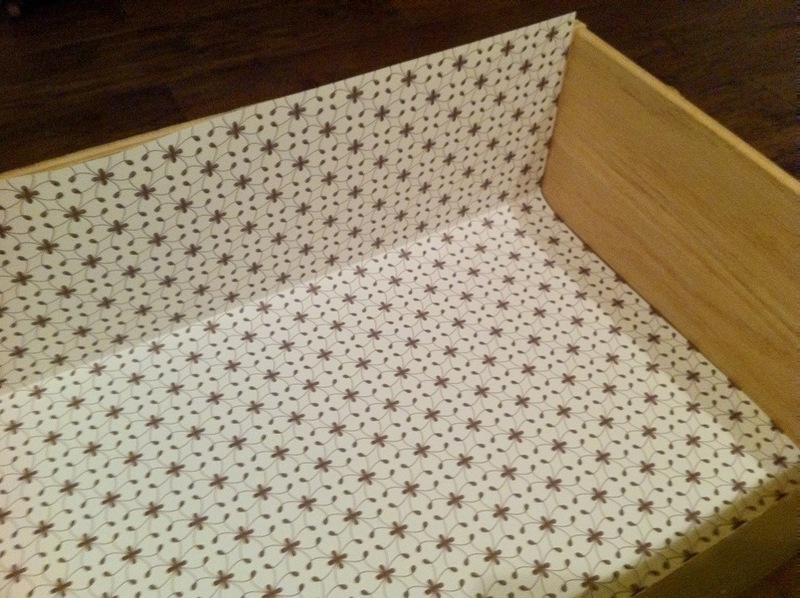 A set up from drawer liners is Mod-Podged wrapping paper drawer liners. You can use a fun design that you don’t usually find in a drawer and using Mod-Podge really makes it stick down great. Enough wrapping paper to fill the bottom (and sides if you’re feeling extra crafty), preferably in a dimension that will fill the entire space. 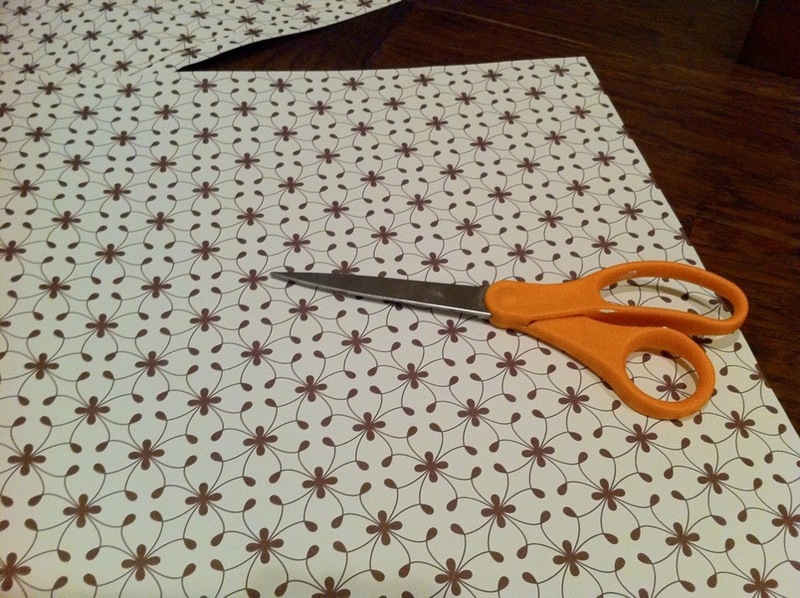 First, place the wrapping paper in the drawer and fold it where it will need to be cut to fit. 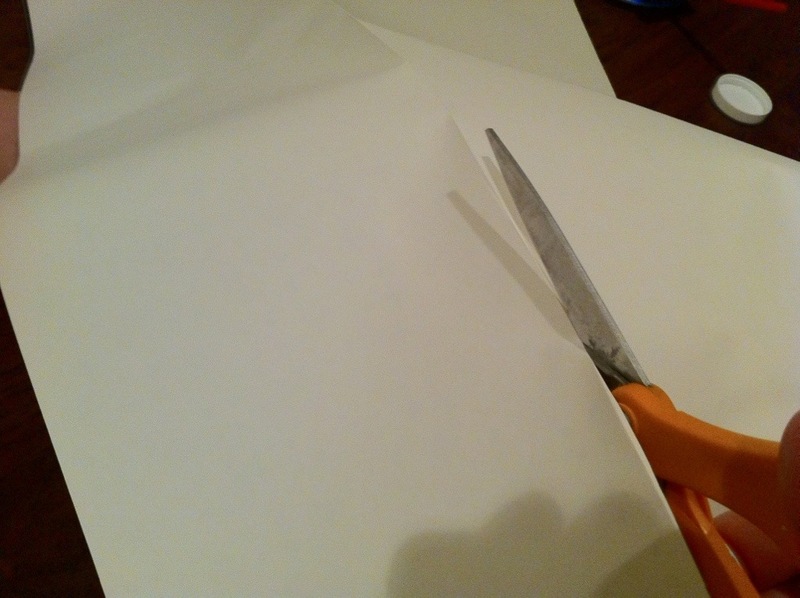 Give it a firm fold to make a clear line. 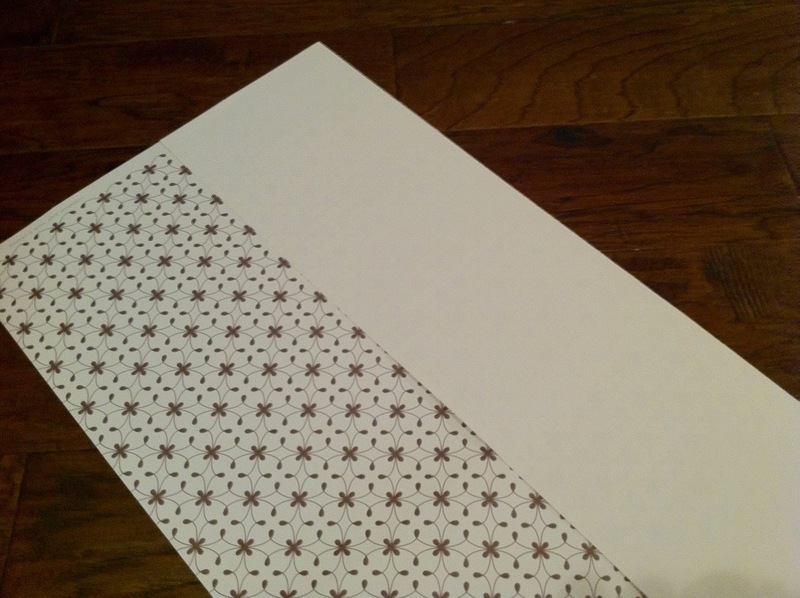 My wrapping paper was slightly to narrow for the drawer, so to fill the space I repeated that step with the first piece of paper sitting in the drawer. I was careful to line up the design so the seam wouldn’t be noticeable. 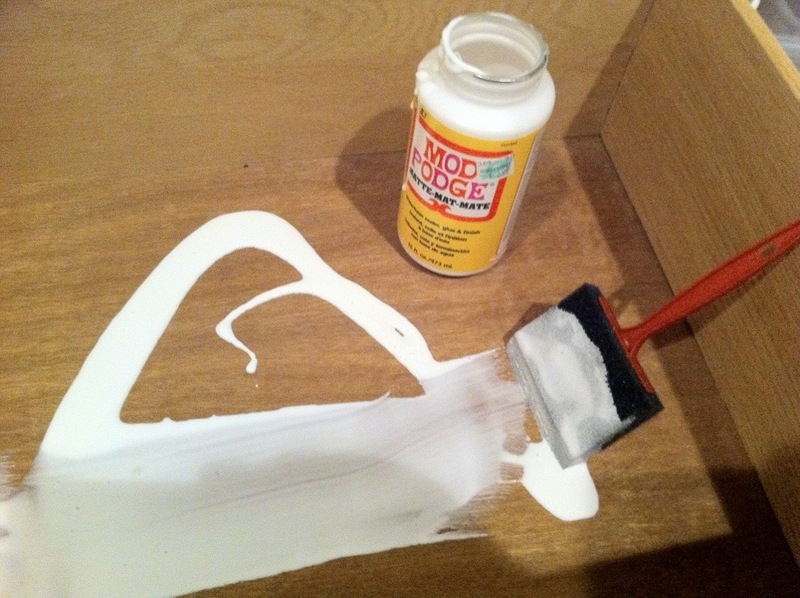 Cover the bottom of the drawer with Mod-Podge. Not too thick, mine above is as thick as you should go. 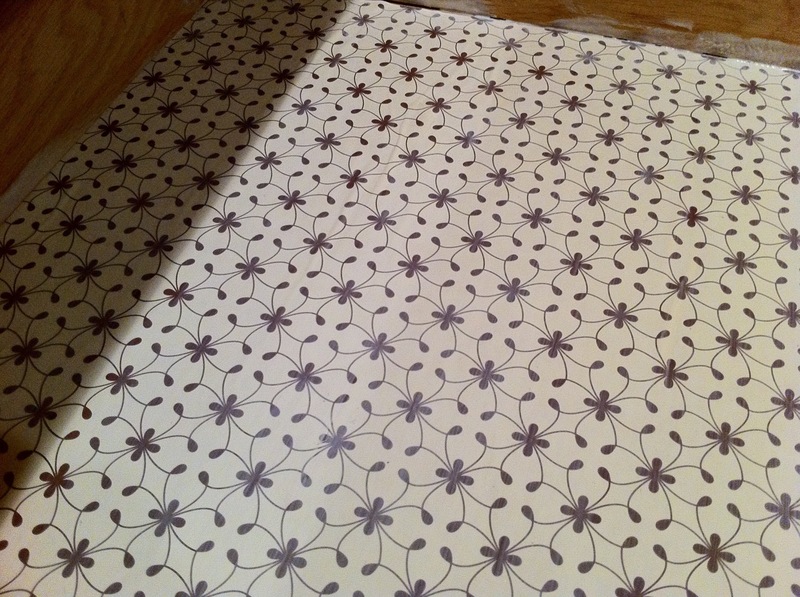 Then smooth the paper onto the Mod-Podge. Watch for bubbles and smooth them out if you can. If you can’t you can poke them with a thumb tack or needle to give the air a way out and then smooth. 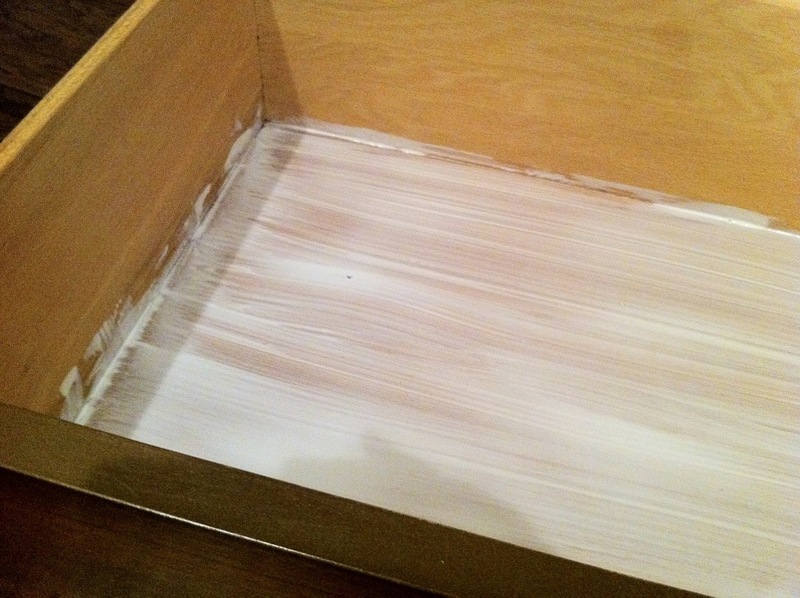 Repeat for any additional pieces needed to fill the bottom (and/or sides) of the drawer. Coat with more Mod-Podge & let dry! We get compliments whenever someone sees the drawers to this dresser open. It was initially the dresser in the nursery where it doubled as a changing table and is now in Cora’s room. You don’t have to use the same print for each drawer. Feel free to switch it up. I couldn’t find 4 designs that I loved so I stuck with the one I did love. 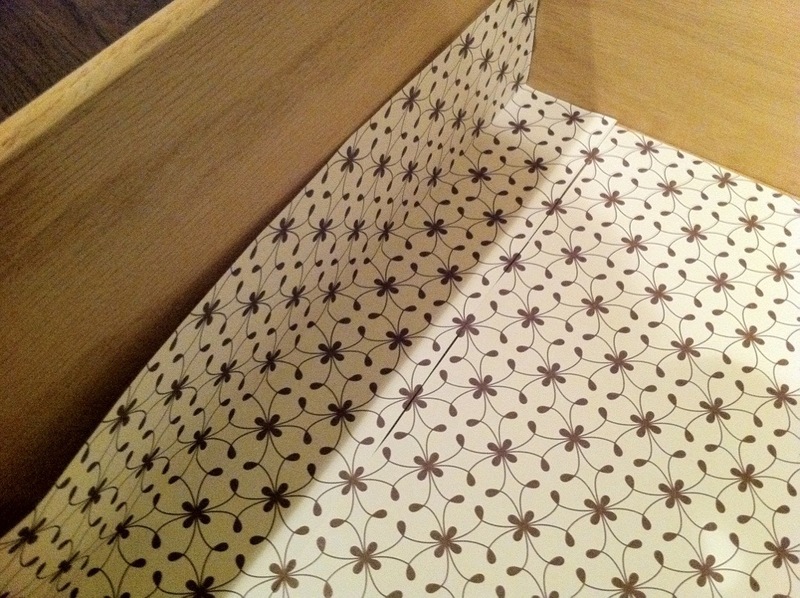 You can do this with the same or different paper on the sides of the drawer. I’d wait for the bottom to dry before doing the sides. 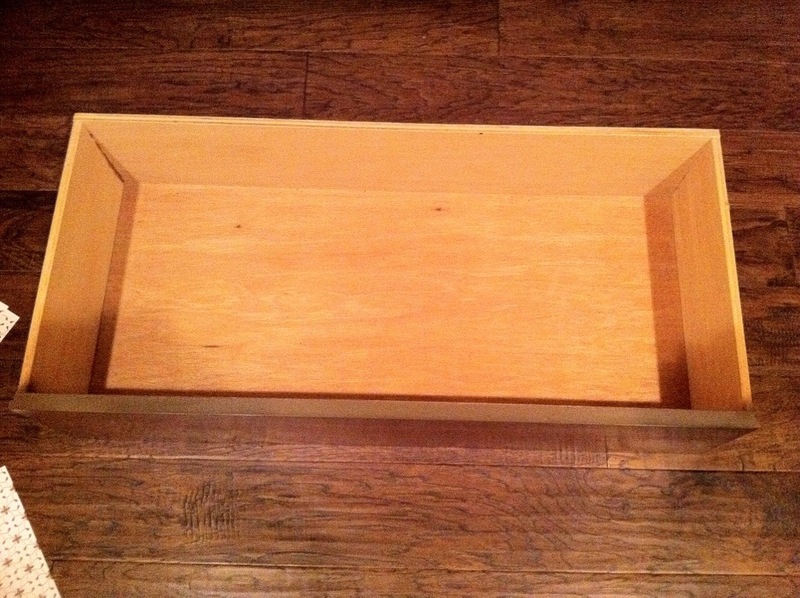 You could paint the sides of the inside of the drawer before this project. I love that surprise pop of color.